Nissan’s Altima doesn’t have the brand heritage that the Honda Accord and Toyota Camry possess in the family car segment, but Nissan must be doing something right: in 2011, the Altima outsold both of those cars. Good news for Nissan, but all three of those cars were redesigned recently: the Camry for 2012, and the Accord and Altima this year. Given the improvements that Honda and Toyota have made to their family sedans, Nissan had some work to do to keep the Altima in the game. Looks are important in any car segment, but are not paramount to success for a family car. 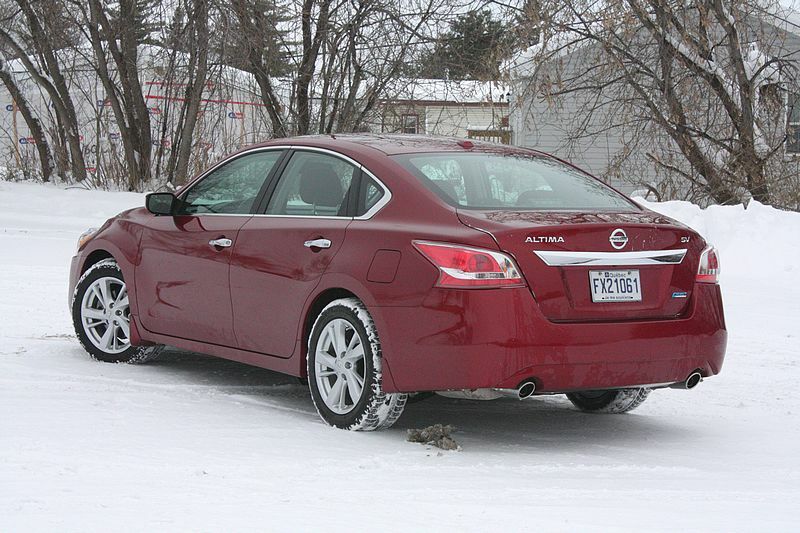 The 2013 Altima does away with the frumpy look of the outgoing car, replacing it with a design reminiscent of a generation-old Lexus ES. Classy, but unexciting. On the other hand, the interior design has been dumbed down, in my opinion. It looks fine and works well enough, but has a cookie-cutter look to it, where the old Altima’s interior neatly incorporated stylistic elements borrowed from the sporty 370Z coupe. 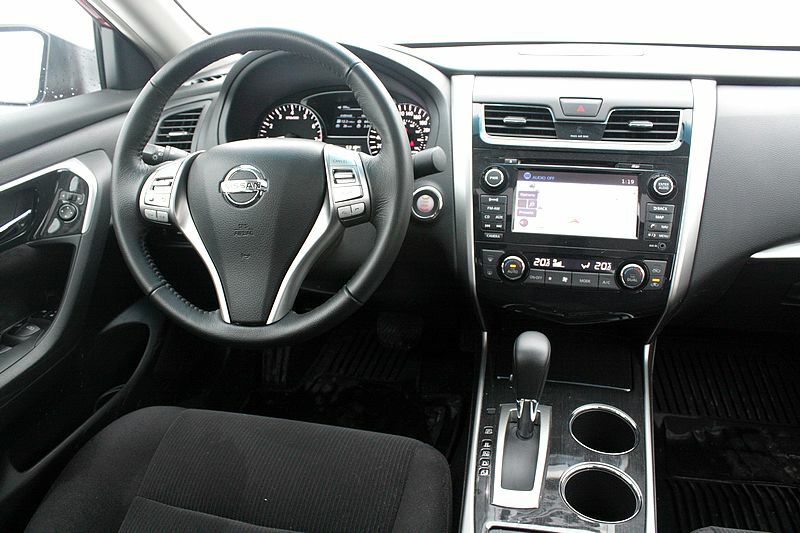 Sporty isn’t what family sedans are about, so the 2013 Altima edges closer to the automotive equivalent of sensible shoes. 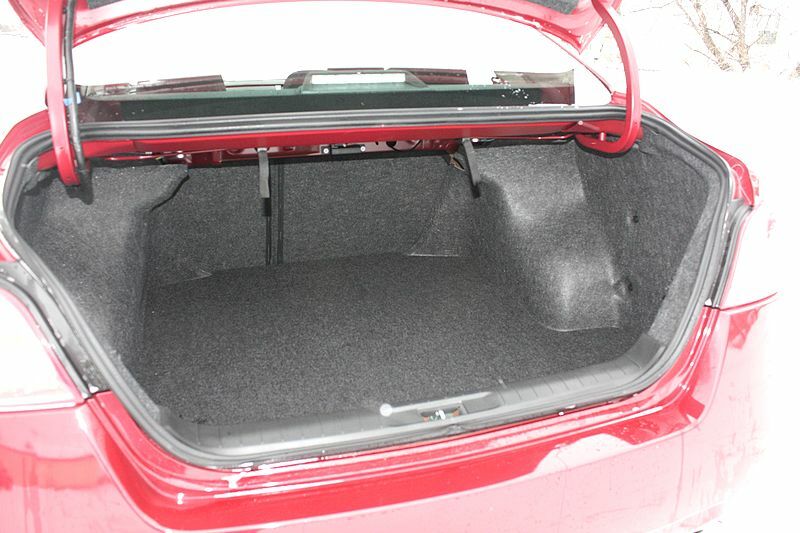 The rear seat cushions are similarly soft, but here, the backrest angle is raked a few degrees too far back. It’s great for napping, but less so for those following mom’s advice to sit up straight. 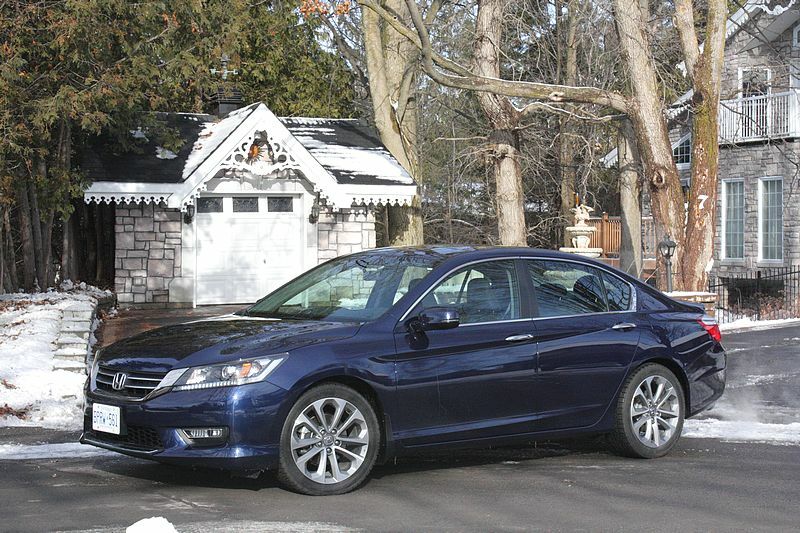 Headroom is more generous here than in the new Accord, but that car feels roomier overall. 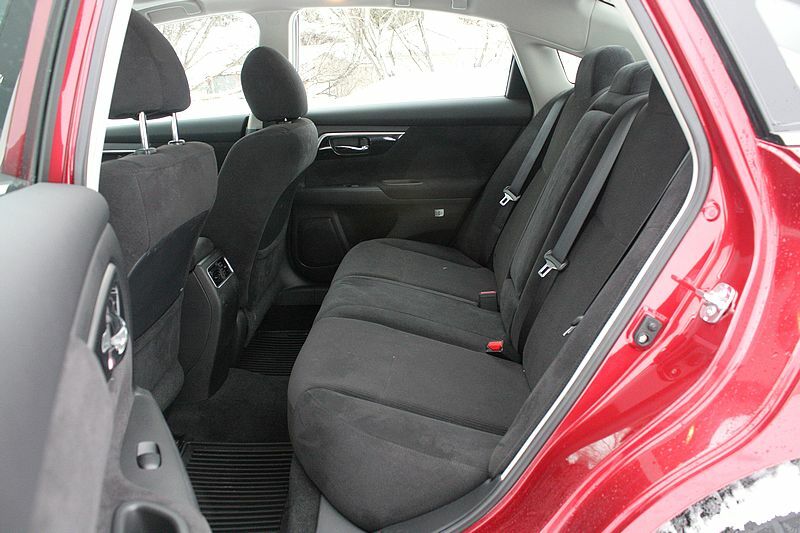 The Altima boasts similar trunk space and trumps the Accord by including a split-folding rear seat; in the Accord, you either fold all of it, or pay someone to deliver your Ikea purchase. I was less impressed with the Altima’s interior quality. To be fair, everything looks good, and the materials mostly feel like they belong in a $30,000 car, but the dash generated a couple of buzzy, creaky noises that didn’t go away once the car was warm. A speaker grille in the top of the dash – front and centre for all to see – was poorly fitted, looking like it had warped slightly over years of exposure to hot sun, but my test car had just 4,000 km on its odometer. Nissan is known for CVTs and says this one has been redesigned with a view to reducing friction and increasing efficiency. The company’s fuel consumption claims are 7.4/5.0 L/100 km (city/highway); those are very impressive numbers that my test car didn’t stand a chance of matching in a week of cold, snowy weather, instead averaging just below 10 L/100 km in city driving. I’ve long liked Nissan’s CVTs, but have found in the past that they favoured refinement over performance, so the cars felt slower than their power numbers would suggest (even if that was just a seat-of-the-pants perception). 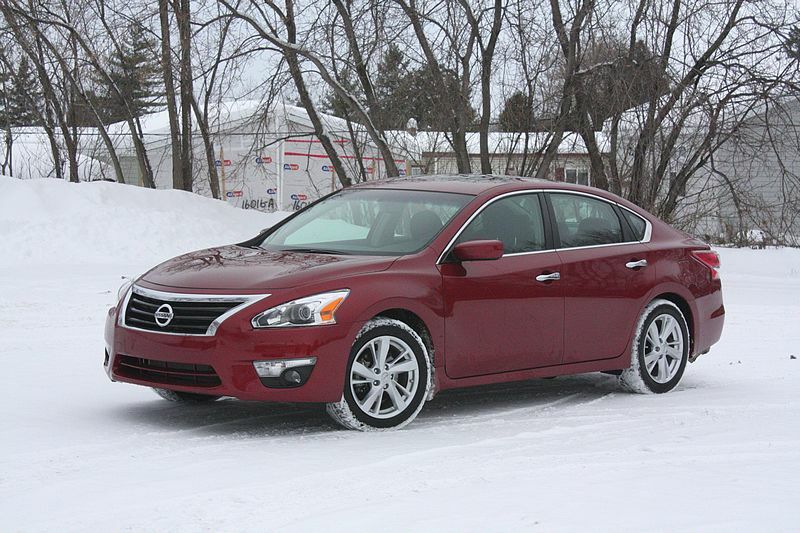 This Altima felt more responsive and eager to let the engine spin when acceleration is called for. The ride is fabulous, a near-perfect balance of comfort versus body control that trumps the Accord’s too-firm suspension tuning. Steering response is decent, but the electro-hydraulic power assist is a bit over-boosted; that’s a good thing at low speeds (like parking lot crawling), but makes the car feel less poised at highway speeds. Plus, the steering feels a bit “off” in sweeping corners, where Nissan’s Active Understeer Control kicks in to help keep the car on course. The company says it’s “almost undetectable,” but I detected it, and I didn’t like it. It sounds like a feature meant to augment performance at the car’s handling limit, but Nissan says its aim is to help improve steering accuracy in normal driving. Here’s something else I detected: Nissan overthinking the steering system in a family car. No doubt, the Altima continues to be a good car. Its problem, following this redesign, is that it is neither as cushy as the latest Camry, nor does it boast a personality as sharply defined as the new Accord’s. It tries to strike a balance between the two, and mostly succeeds, but not comprehensively enough to make this a great car. For the first time in a long time, Honda has a hit on its hands with the redesigned 2013 Accord. Click here for my review at Autos by Sympatico. In short, there is very nearly nothing wrong with this car. 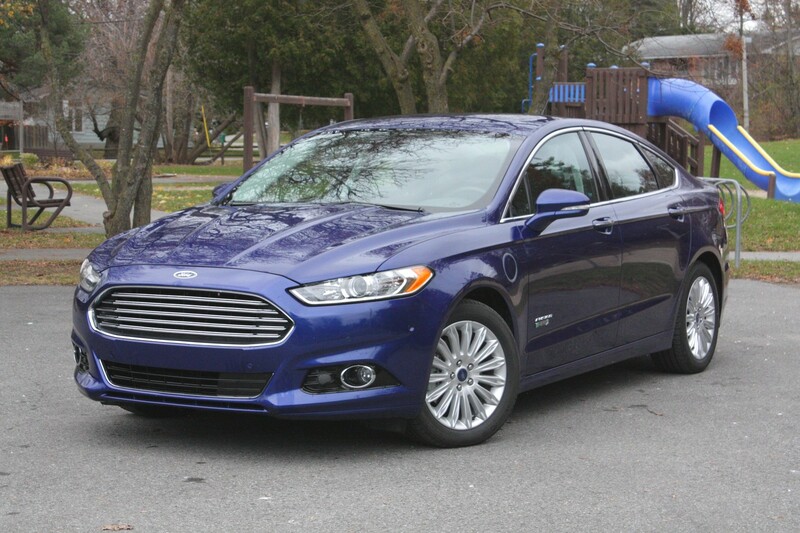 It’s a shame that this second-generation Ford Fusion hasn’t proven as durable as its predecessor. 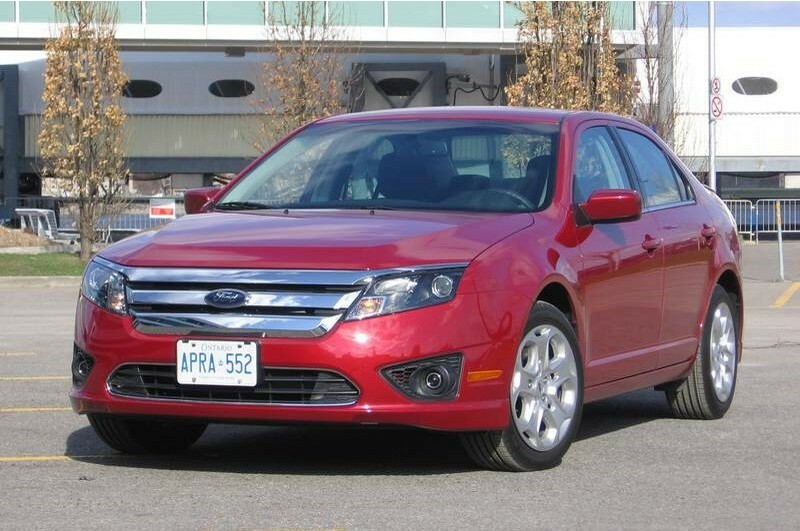 Read my Autos.ca used car review to learn what to watch out for.